Offering you fully integrated ecological design and construction services to renovate a house into Your Ideal Home- a home that makes your lives and relationships a little easier because it's high functioning, nurturing, flexible and beautiful. You can trust our price and schedule - we take pride in being true to our commitment to you, it's a point of honour. Designing and renovating should be exciting and fun. We're committed to doing all the heavy lifting so you can just enjoy the ride home. Like you, we are Home Makers. Our passion for thoughtful design & excellent craft compliments your passion for a beautiful home to nourish your family and inspire harmony. We will take the time to talk you out of anything we feel is not in your best interests and offer you alternative ways of meeting your needs to ensure your home is of the highest value. Ultimately YOU make the decisions about what you value and we make it happen for you. Visit us at www.mkdb.ca to learn more about how we will see you all the way home! With 25 years of design experience, Michelle is known for creating custom designs, space planning, & beautiful and unique environments for her clients that reflect their special desires and needs. Reid & Siemonsen’s key to success is their team of talented, experienced designers who work together to create a complete package of interior design services. With 26 years of professional experience in the Greater Ottawa Area, Anna Riopelle is an award-winning designer. She creates beautiful, yet functional designs while providing unparalleled service. Kalmoni Design and Decor, is a client focused, residential design firm. With a strong belief that a well designed home is one of the best gifts we can give ourselves and our families. Get the best of all things 'Total Home' when you come on board with Cindy and Gilbert Lutes, husband and wife team enriching your HOME with style, character and beauty! We specialize in; - Renovations from rough to finish - Interior Decorating - Home Staging - Redesign Both Cindy and Gilbert are certified in their craft and provide friendly and professional service from start to finish. Together and Individually, whether you utilize their services combined or separately, they promise to deliver to the expectation of your design project! Cindy is a Professional Property Stylist with two Certifications in Home Staging from APSD – Association of Property Scene Designers. 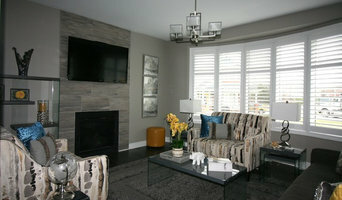 She has achieved APSD’s Home Stager and Home Stager Pro Certificates. As well, she has successfully completed a Diploma with The Interior Design Institute. Gilbert successfully completed and graduated with honours in the field of carpentry at Algonquin College. He has been working in the carpentry industry since 1995. Total Home are winners of Best of Trustedpros for two consecutive years (2014 & 2015) in the categories of Bathroom Renovations, General Contracting, Home Staging and Customer Service. They are the 3x recipient of the Best of Houzz Customer Service award in 2016, 2017 & 2018. Our mission at O-Designs is to offer an interior design service of high quality tailored to your needs for all your projects in design and interior decoration. 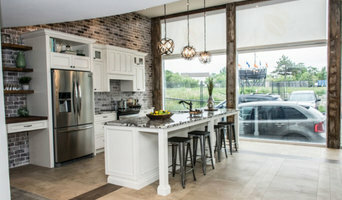 Bernacki & Beaudry Design Corp.
As one of Ottawa, Gatineau and environs preeminent interior design firms Bernacki & Beaudry Design (thedesignerguys.ca) specializes in creating spectacular one-of-a-kind interiors for exclusive residences and commercial projects. You are our top priority at Bernacki & Beaudry Design. We are experts at taking your interior design ideas to the next level and maximizing the potential of your space, your style and your budget! Elegance, refined concepts, exceptional service and guaranteed satisfaction are our trademarks. We adore creating an environment for our clients that makes them love the space they live in. We deliver to each of our clients a custom service that’s designed specifically for them. Dala Décor Ottawa is a custom design house and retail furniture store. Helping build beautiful unique spaces one piece at a time. Our exclusive pieces are handpicked by our interior design experts. Being a custom design and sourcing house we will use all of our expertise to design, source, build and deliver these unique, quality items into your dream space. Dala Décor will continue to bridge the gap for designers ,decorators and consumers in the Ottawa/Toronto and surrounding areas creating and unique custom spaces. Let us simplify the process of bringing that dream space to life. C U S T O M Here at Dala Décor, we thrive on building you that one of a kind conversation piece for your home or place of business. We contract an array of experts ready to provide custom furniture, builds and decor into any space. Whether our clients are looking to create their own unique designs, or if there are just a few areas of their project that requires a tailored piece of furniture, Dala Décor has the resources to accommodate their needs. From live edge tables, counter tops, barn doors, bars, seating, antique reproductions, cabinets and intricate wall paneling we’d love to sit down and create that special missing piece with you. C O M M E R C I A L Dala Decor specializes in creating individually inspired commercial spaces including: restaurants, hotels, offices, event venues and franchises. Our team of experts work both locally and internationally to bring you a variety of collections to fit your needs. Let us help bring your vision to life and make it unique. Please contact us for a consultation to present our offerings. We're looking forward to working with you on your next project! Get the best of all things Total Home when you work with Cindy & Gilbert Lutes to enrich your HOME with style, character & beauty! 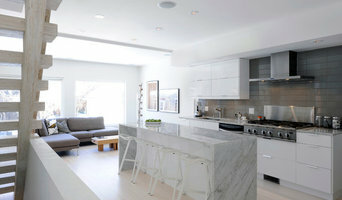 We specialize in renovations, interior design & home staging. We take a collaborative approach to find the perfect solution for your home or office. You are the most import part of the process. Collaboration is critical at every step of the way! Michelle completed her Architectural educational background in Singapore in 1990. She worked for a high-end design studio in Singapore for years but soon decided to bring her talents to Ontario where she furthered her education by attending Algonquin College. Upon completion she began working as an independent design consultant specializing in custom residential interior design & decor and so Michelle Shao Design's was born. Michelle is known for creating custom concept designs and space planning for all types of styles. Her 25 years of design experience help to create beautiful and unique environments for her clients that reflect their special desires and needs. Her designs are created to feel fresh and timeless. In addition to designing contemporary modern interiors, I offer you guidance through the myriad design decisions, details and options using a simple 15-step process. My specialties include condominium customization, bespoke furniture design and built-in elements that optimize functionality and personalize your home. Having earned a Bachelor of Industrial Design degree with High Honours in 1996, and an Architectural Technologist diploma in 1988, my approach to every project is thoughtful, methodical and rooted in history and technology. Design idols include Andree Putman, Mario Botta, Oscar Niemeyer, Philippe Starck and Kelly Wearstler. Using AutoCAD as one of my main design and communication tools, I have been providing creative and build-able interior design solutions in Ottawa, Canada since 2002. Start with an interior design consultation and see how working with me will enable you to explore options, make smart decisions and live a life that reflects your passion for style and comfort. We provide full scale renovations, interior design and decorating services for residential and commercial properties. We specialize in new builds, custom homes, luxury properties both big and small, and accessible spaces. Most of our furnishings are custom built and designed, one of a kind pieces made to suit your space.